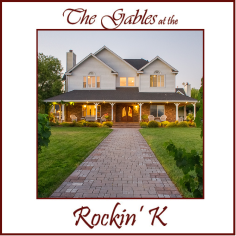 High atop the hills of Paso Robles, in the Estrella AVA District of the Central Coast wine region, lays The Gables at the Rockin’ K. The Rockin’ K welcomes you in with such luxurious attention to detail you may never want to leave! The flow-through floor plan creates space for entertaining both formally and informally, with the gourmet kitchen a focal point for gathering. Enjoy outdoor patio living at its best--the dining room doors open to an outdoor wood burning pizza oven and dining areas overlooking the infinity pool. Enjoy a solar-heated pool between May and September, heats about 10 degrees above air temperature. You will also find a complete outdoor kitchen fully equipped including wet bar. Let’s not leave out the beautiful outdoor fireplace area, when you want a warm fire and a glass of local wine. The side yard veranda offers views of fruit trees, olive orchard and vineyards all grown by the owners of the property. As you continue walking around, the veranda continues with classic wicker seating and provides evening views of the lights of Paso Robles in the distance. One queen bedroom with one and a half bathrooms downstairs and four bedrooms with two full bathrooms upstairs. With two master suites available, one master suite includes a 48" flat screen TV, well-appointed bathroom with claw foot tub, and access to a private balcony extending more views. The sixth bedroom is the second master suite--a 900 square ft. upstairs apartment at the back of the house, including beautiful pine vaulted ceilings, kitchenette, luxurious marble bathroom, 50” flat screen TV extended views, and more. is All guests enjoy access to the well appointed Man Cave, which features a noteworthy collection of custom Kramer Guitars, a pool table, a big screen TV, and a large old-fashioned bar. The Gables welcomes you with open arms and invites you in to have your expectations exceeded! Sleeps 12 people very comfortably. Parking available on site for a maximum of 7 cars. If arranging local wine transportation, please contact us in advance for details. 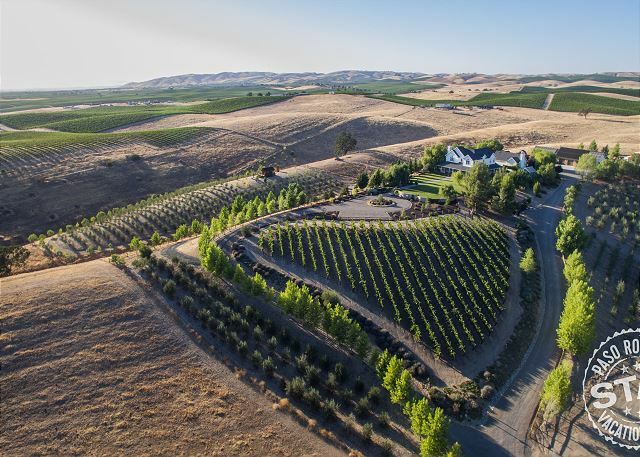 Absolutely no RV's or Campers are permitted at this property.Paso Robles Vacation Rentals is your local expert! Please contact us with questions about restaurants, wineries and fun things to do on the central coast! 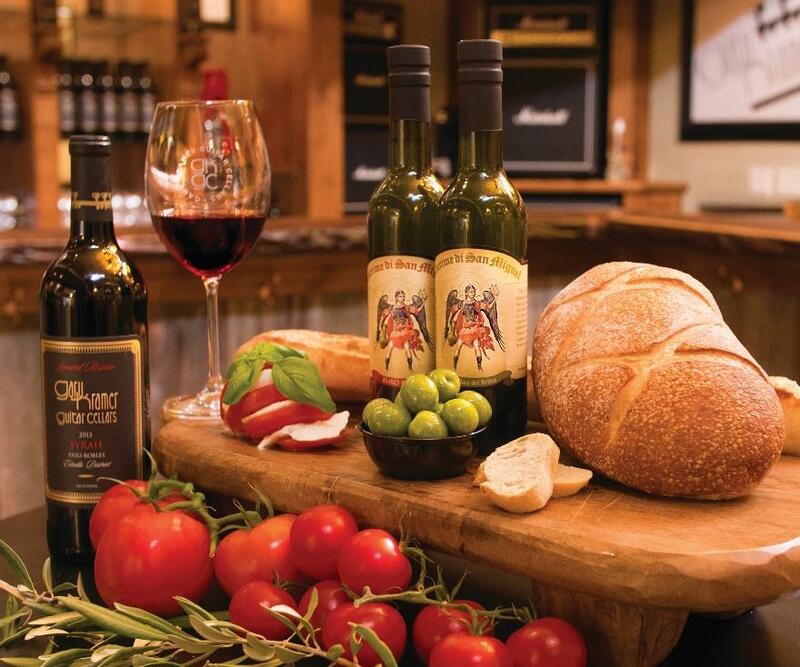 ® When you decide to stay at The Gables, don’t forget to visit our Wine & Olive Oil Tasting Room located in beautiful downtown Paso Robles, only eight miles from the property. Mention that you are staying with us and receive a complimentary wine tasting and a bottle of our olive oil. Gary Kramer Guitar Cellars, 825 Riverside Ave. #16 Paso Robles, CA 93446, Open: Friday and Saturday 12-7 . If you decide to stay at The Gables, don’t forget to visit our Wine & Olive Oil Tasting Room located in beautiful downtown Paso Robles, only eight miles from the property. Mention that you are staying with us and receive a complimentary wine tasting and a bottle of our olive oil. 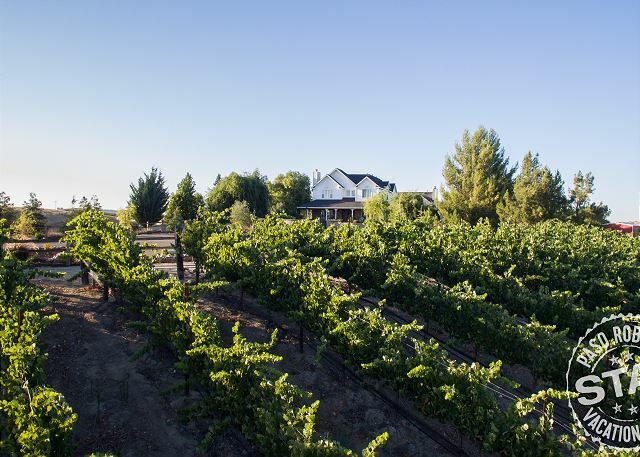 Open: Friday and Saturday 12-7 p.m.
Best Place to Stay in Paso! Beautiful house, must try it out. What a beautiful and unique home! Five couples plus one single gal stayed here for a long weekend of wine tasting, pool playing, fire pit music sessions, cooking, resting, and laughing. Great Stay in Paso Robles! We had the most relaxing time at The Gables. The property is breathtaking and you can stay there all day without needing to go out. Celebrating my dads 70th birthday, our whole family surprised him for the long weekend and he was so happy. He loved that all of us stayed together, the gigantic tv, and the beautiful pool. It was perfect. The house is a bit of a drive from downtown Paso, but that wasn't such a problem as we bought groceries and cooked our meals at the house together. We never got to wine taste but plan on that next time - without kids! All the beds and rooms were comfortable and clean. Bathrooms were equally as equipped and beautiful, especially the master bath. Plenty of towels for our party of 12, with more to spare. We all slept with the windows open for that cool night breeze, and enjoyed morning sun rocking in the rocking chairs on the porch with our teas and coffees. Even the kids loved the house - despite the very slippery floors! They had fun sliding across them.